Secret Russian documents uncovered in recent years reveal that in the mid-1920s, Josef Stalin ordered one of his top scientists to breed an invincible army of super-soldier ape-men. Biologists have been experimenting with cross-species hybrids since the early 19th century, spawning such unnatural creatures as ligers, tigons, and pizzly bears (oh my). But accomplished horse breeder Ilya Ivanov wanted to further test the bounds of nature. He successfully created a zebra-donkey mix, a cross between a cow and a bison and a guinea pig-rabbit hybrid. Still, Ivanov wanted more. So for years he begged for funding to try experiments on apes and humans. His perseverance paid off. Russia was in dire need of a durable labor force and soldiers to replenish the hard-hit Red Army after two brutal wars. 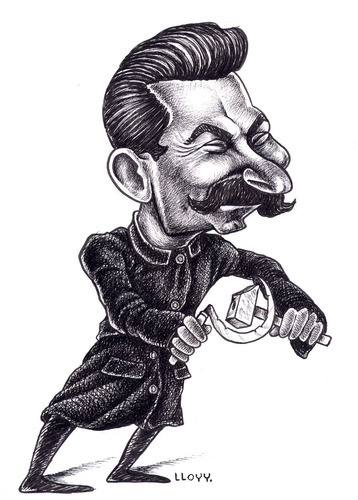 So in 1926, just as the country was ramping up for an accelerated industrial revolution, Stalin gave the order to proceed. Ivanov was dispatched to West Africa with the equivalent of about 200-thousand dollars to start artificially inseminating female chimps. But the experiment, as far as anyone knows, was a total failure. So in 1929 Ivanov tried…the other way around. He moved his operations from Africa to Georgia, and five human females…volunteered to participate. They were to be impregnated, this time, with the seed of an orangutan. Official records indicate that this plan also failed. Ivanov was disgraced. He was exiled to Kazakhstan in 1931, and died a year later. The outcome of his experiments and the fate of that facility in Georgia is not as clearly documented. Could this research have continued underground? What other bizarre concoctions might have developed from the remaining labs? What became of the laboratory in West Africa? Was he able to revive any of his experiments in Kazakhstan? And why is it that an opera based on this story, composed by Dmitri Shostakovich, was abandoned and suppressed for 70 years? To join in on a discussion of this and other topics, stop by the Miskatonic University chapter of the National History Honors Society, where bold speculation is welcome. Post Script: A hat tip to YSDC’s “Mythos” for posting this item about Ivanov’s experiments way back in 2005. And if you’re looking for ways to connect this sort of thing to Lovecraftian fiction, look no further than his short story, The Facts Concerning the Late Arthur Jermyn and His Family. Special thanks to Kevin Macleod for making his version of The Dance of the Sugar Plum Fairies available for free. And check out the Resources and Attribution page for links to other sounds used in this lecture.